Perfect for your kinesthetic kindergartners! Help young learners grasp key math skills, and provide differentiated math practice through the fun, hands-on activities in these 12 centers. 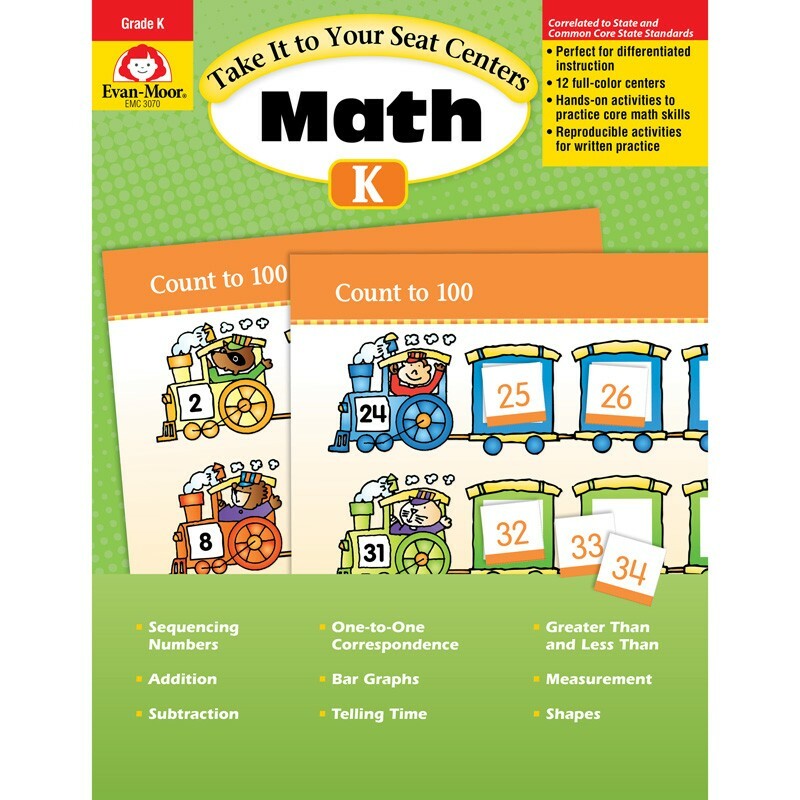 Each full-color center focuses on a skill from a Common Core State Standards math domain, such as numbers and counting, data, operations, measurement, and geometry. The easy-to-assemble centers are stored in pocket folders, making them easy to use at a table, desk, or quiet area in the classroom. After a teacher or classroom aide models how to use a center, students can complete the activity independently, in pairs, or with the guidance of the teacher.